Even Ryan like this and he despises anything with mayo and/or vinegar. I think the bacon helped 🙂 It really does make most things better! Join me as I try to spin it all; work, family, exercise, healthy living, and healthy eating. Perhaps we can learn together. Hilarity is certain to be involved. 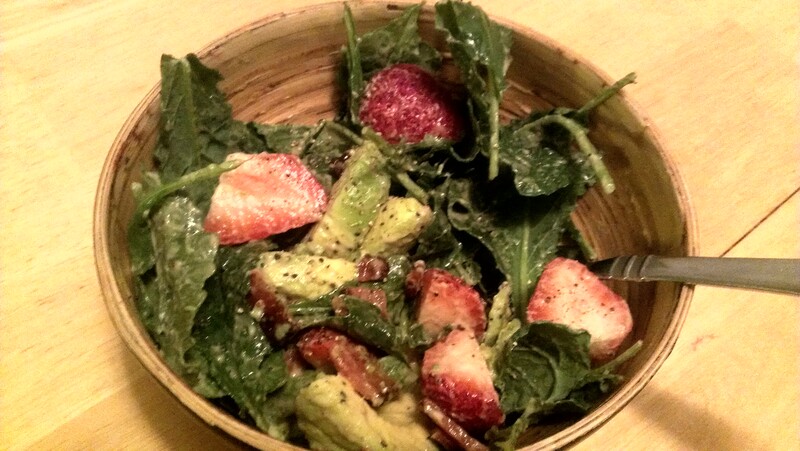 This entry was posted in Paleo, Salad and tagged avocado, bacon, bacon fat, dressing, poppy-seed, salad, strawberry. Bookmark the permalink. Not Your College Dorm Ramen! Blogs I follow and you should too!